"There has long been a school of thought that there was little physical variation prior to European contact," says Ann Ross, a forensic anthropologist at NC State who co-authored a paper on the work. "But we've found that there were clear differences between indigenous peoples before Europeans or Africans arrived in what is now Mexico." "This makes it clear that there was no clear, overarching phenotype for indigenous populations," says Ashley Humphries, a Ph.D. student at the University of South Florida (USF) and lead author of the paper. "All native peoples did not look alike." 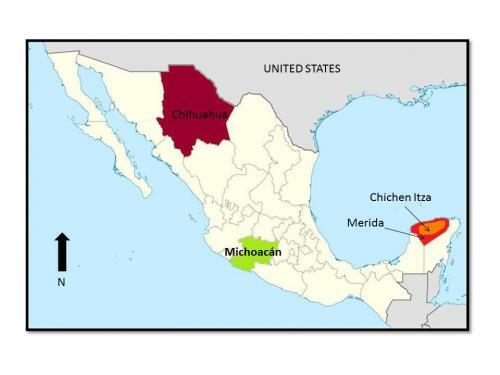 The paper, "A Geometric Morphometric Study of Regional Craniofacial Variation in Mexico," was published online Sept. 4 in the International Journal of Osteoarchaeology. Co-authors include Ashley Maxwell, also a Ph.D. student at USF and Douglas Ubelaker of the National Museum of Natural History. Humphries and Maxwell both worked with Ross while master's students at NC State.